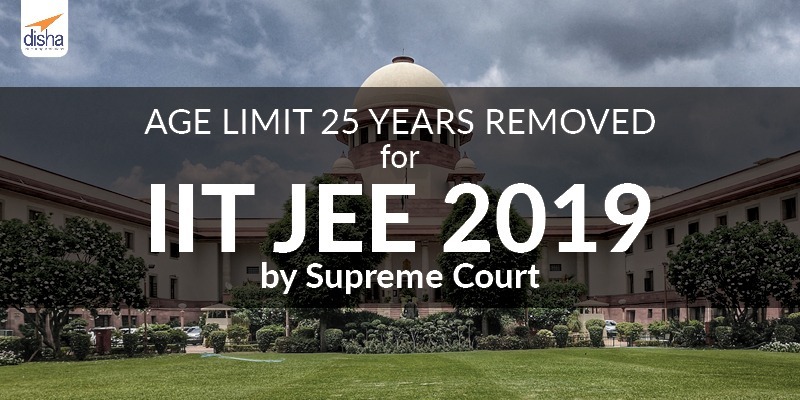 The candidates who were unable to apply for IIT JEE 2019 because their age is above 25 years can now apply for the exams as declared by the Supreme Court today. The age limit has been relaxed only provisionally but will help a lot of aspiring students. The IIT JEE exams are national level exams, giving opportunity to lakhs of students for entrance in prestigious engineering colleges and universities from all over the country. The JEE MAIN exams are scheduled for the month of April 6 and 20. The registration is going to begin on February 8 and the last date to apply is 7 March, 2019. The court has informed National Testing Agency to keep the online portal open for another week to allow students some more time to apply for JEE MAIN 2019 and JEE ADVANCED 2019.